Commentary: This piece was composed by a renowned 17th century Ottoman Polish scholar and musician, Wojciech Bobowski (1610- 1675) who embraced Islam and adopted the name Ali Ufki Bey. Sultan Murad IV (r. 1623-1640) employed Ali Ufki in his court as a language interpreter and musical composer. He assembled hundreds of classical Ottoman songs and applied Western staff notations to them for the first time in a work entitled Majmuah-e Saz u Soz (Anthology of Instrumental and Vocal Music). The lyrics for this particular song, which are ascribed to sultan Murad III (1546-1595), express the poet’s remorse for having slept through the dawn prayer. 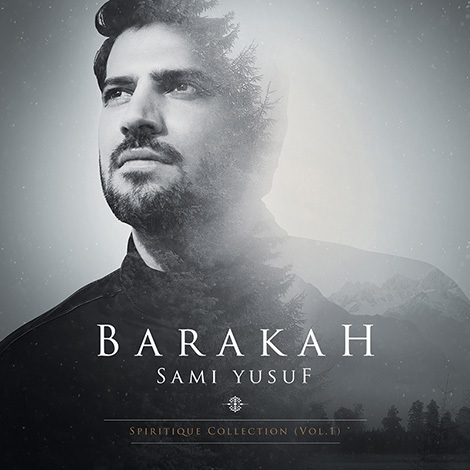 *The musical portion preceding the Turkish verse is a new section composed by Sami Yusuf. *Special thanks to Dr. Savaş Barkçin for additional backing vocals. Arabic words by Dr. Imed Nsiri. Commentary: This song, which has been popular in the Indian subcontinent for centuries, is based on a poem by the Chisti Sufi and musical genius, Amir Khusro, which was later modified by the great Panjabi Sufi poet Bulleh Shah. The song’s lyrics honor and revere (but do not worship) ‘Ali ibn Abi Talib, to whom virtually all Sufi orders trace their lineage, as well as the famous 12th century Sufi saint of Sindh, Lal Shahbaz Qalandar. *A Qalandar is a type of wandering Sufi or dervish who would often live in the wilderness and wear tattered clothes. Lal Shahbaz Qalandar was one such Sufi.